From the foodies to the sports fanatics to the hobbyists, this list has gifts that any guy would love to have. Take a peek at the gifts detailed in this list, and if you have the gift of finding great gifts, please let us know your gift giving ideas in the comments below. The Amazon’s Fire Stick is perfect for those that enjoy TV and movies. 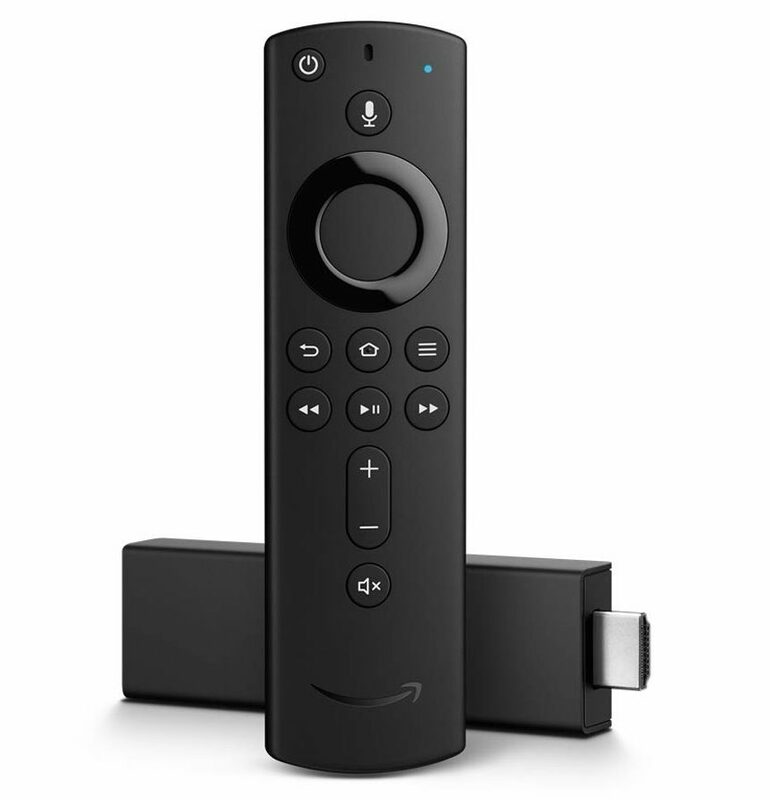 It connects to the TV’s HDMI port and allows access to Amazon’s digital content, as well as favorites like Netflix, YouTube, music, and games. Oh and get this, it also has voice control, game changer. 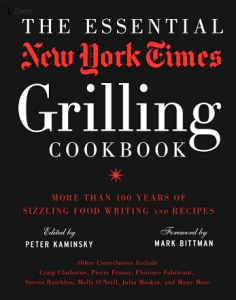 The Essential New York Times Grilling Cookbook is a must for the griller in your life. This cookbook is a compilation of the best articles and recipes on grilling from the past 100 years. So whether the man in your life is a novice or an expert, there is something in this cookbook for him – and who knows, you may benefit from this as well! Have a man in your life that is constantly on the go? 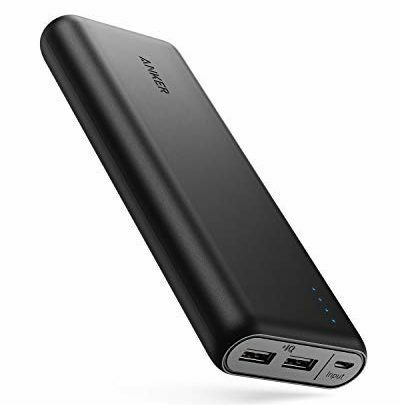 A portable power station that can quickly charge virtually any USB device may be the perfect gift. A power station is both a practical and much-appreciated gift. Everyone deserves a little pampering. Why not pamper the man in your life with a deluxe shaving kit? This shaving kit will provide pre-shave oil, shaving cream, a pure badger hair shaving brush, and after-shave balm. Everything needed to look good and feel good during and after a shave. Being manly and also fashionable has never been easier. 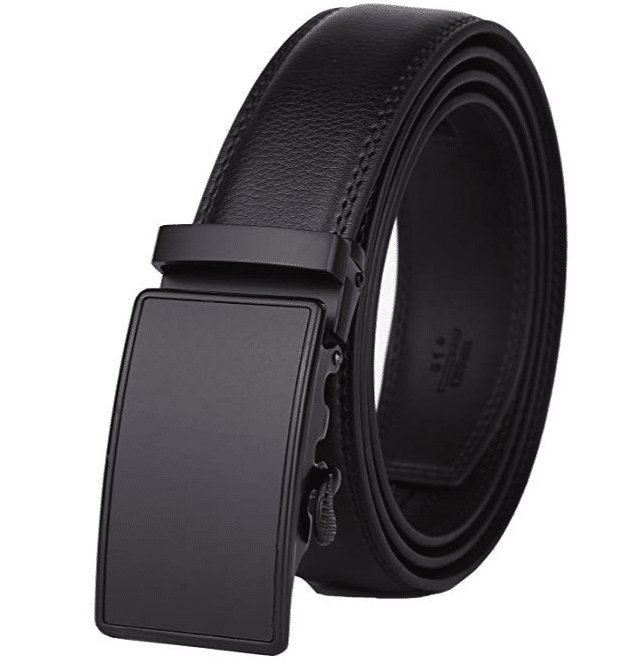 This ratchet belt is going to cover both of those areas with ease and will allow you to give a gift that is also going to be used on a regular basis as well. 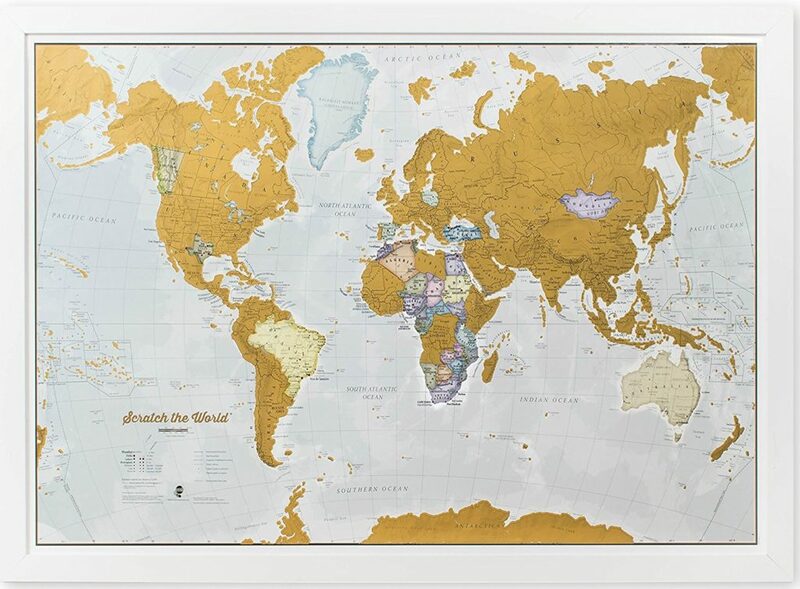 For a fun way to keep track of travels, consider buying the man in your life a scratch map. After visiting a place, simply scratch off the location on the map to reveal a beautifully styled up to date map underneath. If the man in your life enjoys traveling, this may be just the perfect gift. Diaries are for girls; journaling is for the man that enjoys thinking, reflecting, and writing things down. 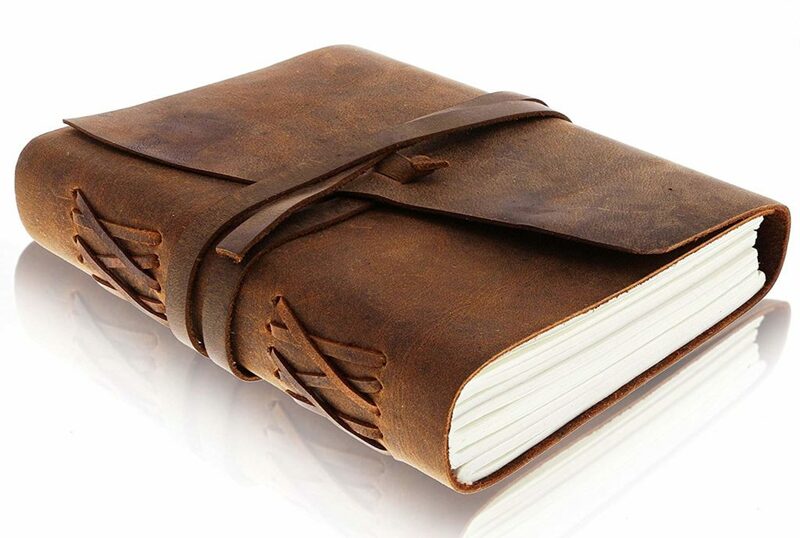 This leather journal is the perfect gift for the man in your life that enjoys writing and keeping track of their thoughts on paper. Know someone that loves poker? 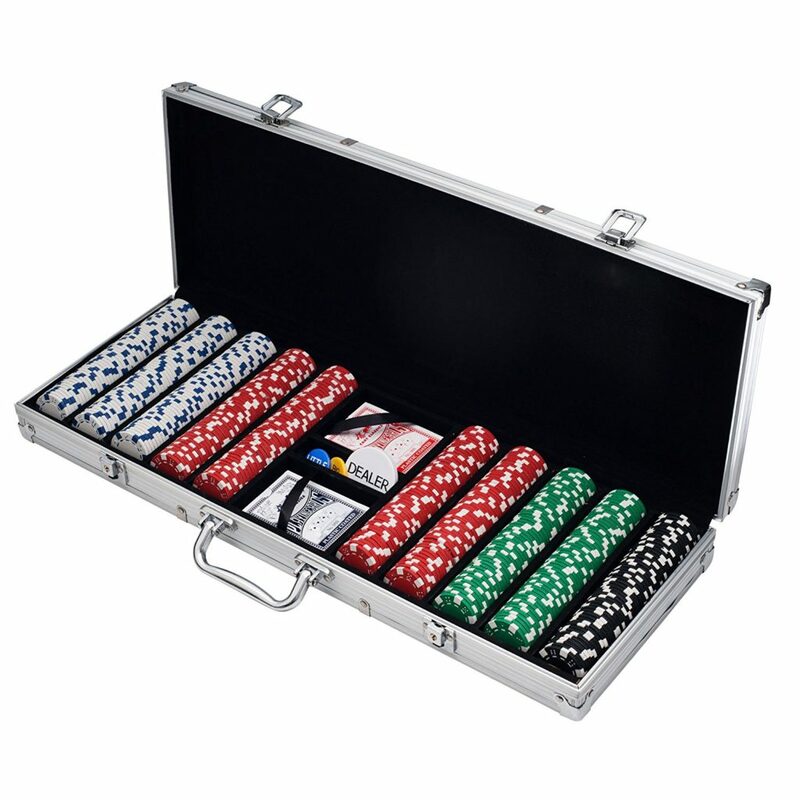 Get them this 500 piece poker set to really set off their next poker night. These are quality chips that have a casino weight and feel to them. This is going to allow for the casino feel right at home. 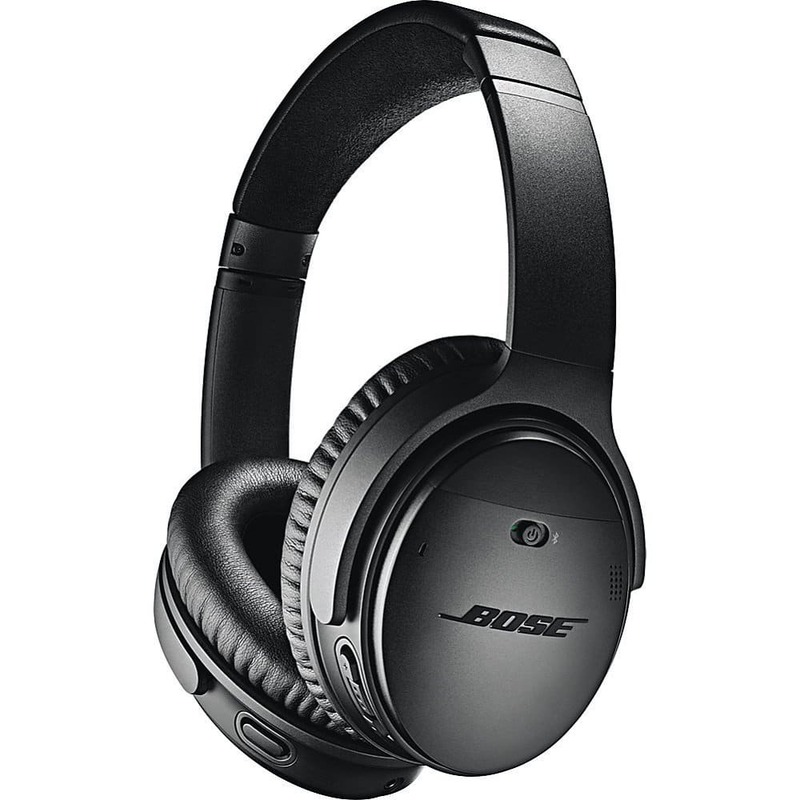 Whether used for traveling or enjoying some good music at home, these wireless Bose headphones will more than do the trick. Get the man in your life a gift that is sure to be useful and will be one of their prized possessions. 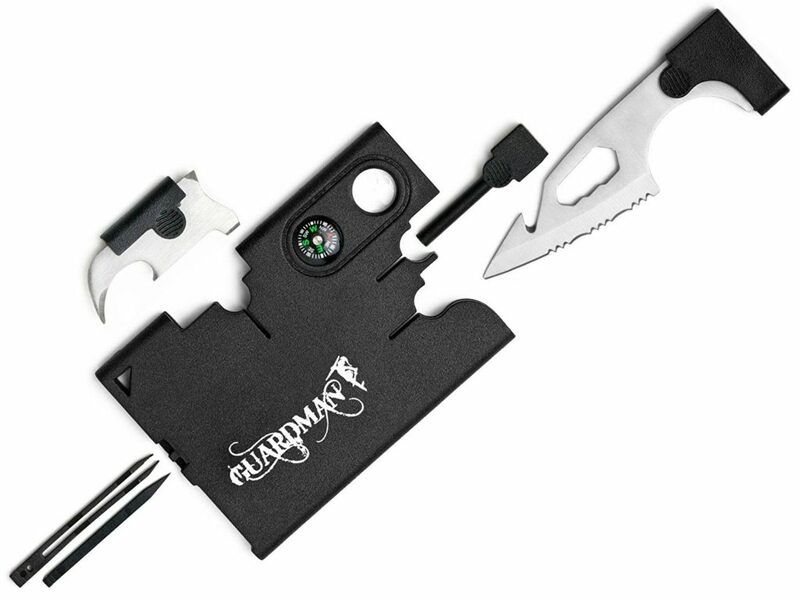 With this 12 in 1 tool card that fits in a wallet, you will be able to give the gift of always being prepared. The tools range from being used for everyday activities to potential life and death situations. So if you know someone that loves to always be prepared, this 12 in 1 tool card would make a great gift. Have a diehard sports fan in your life? 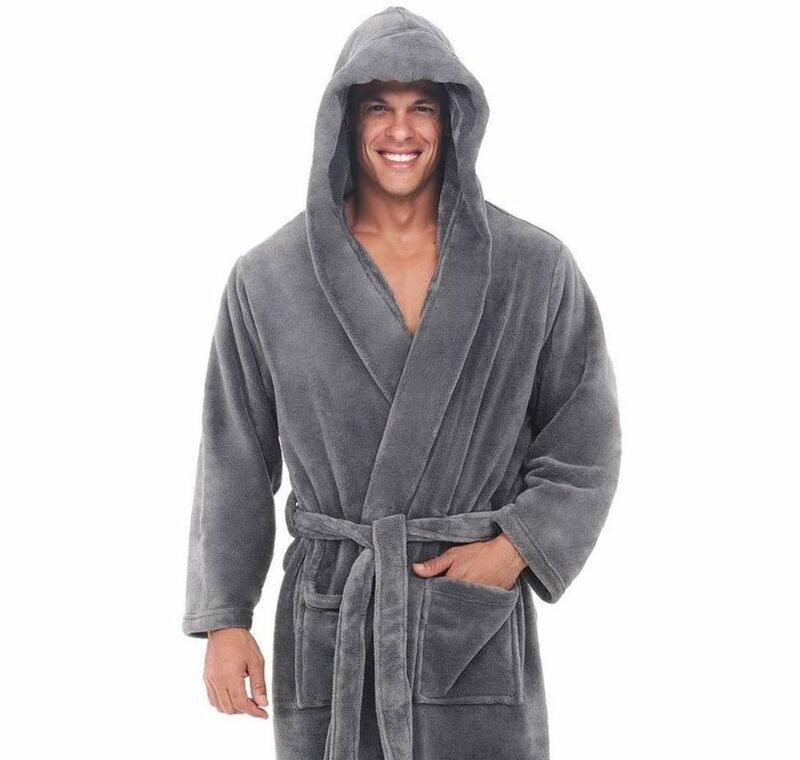 Instead of the traditional team gear why not get the man in your life something a little more unique? 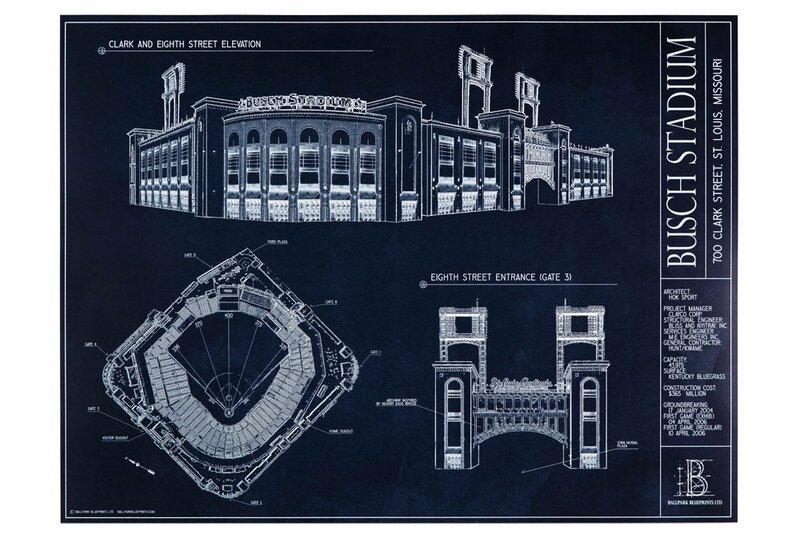 A stadium blueprint of where his favorite team plays is sure to put a smile on his face. What man doesn’t want to be more manly? 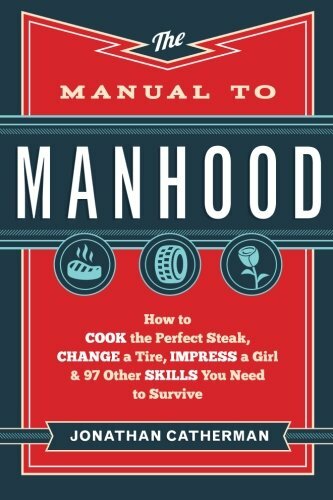 This book is going to cover 100 life skills that are a part of manhood. It will cover cooking the perfect steak, changing a tire, and so much more. Men often choose a watch to give the final touches to their ensemble. That means usually having multiple watches that they are proud of. 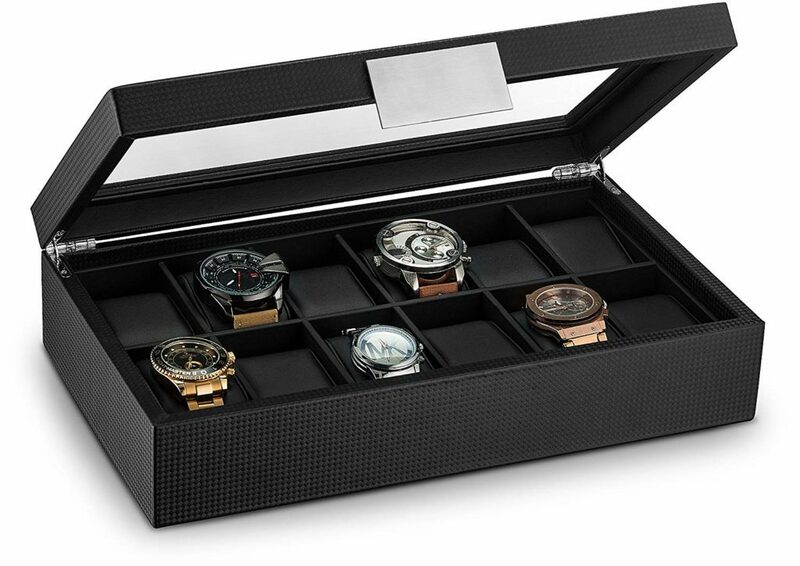 A watch case will allow for the man in your life to organize and display their watches. Beards are becoming more and more popular in today’s culture. 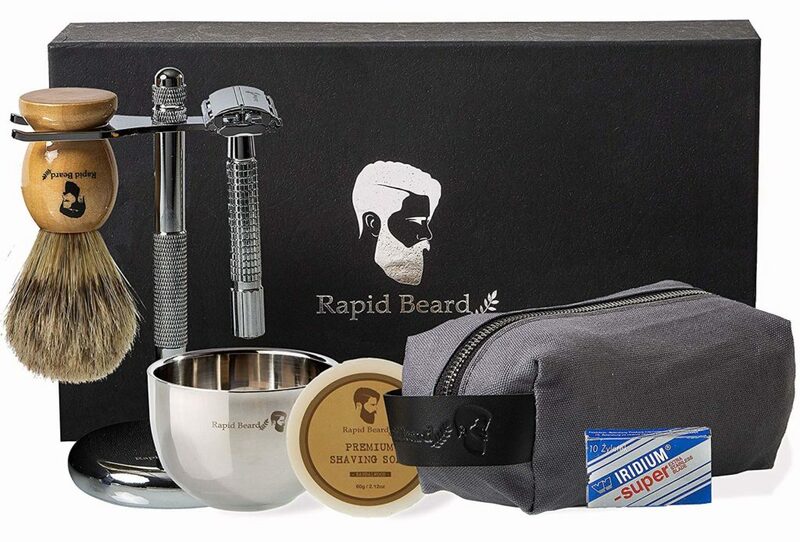 So if you have a man in your life that rocks a killer beard, get them the gift of a master beard kit. 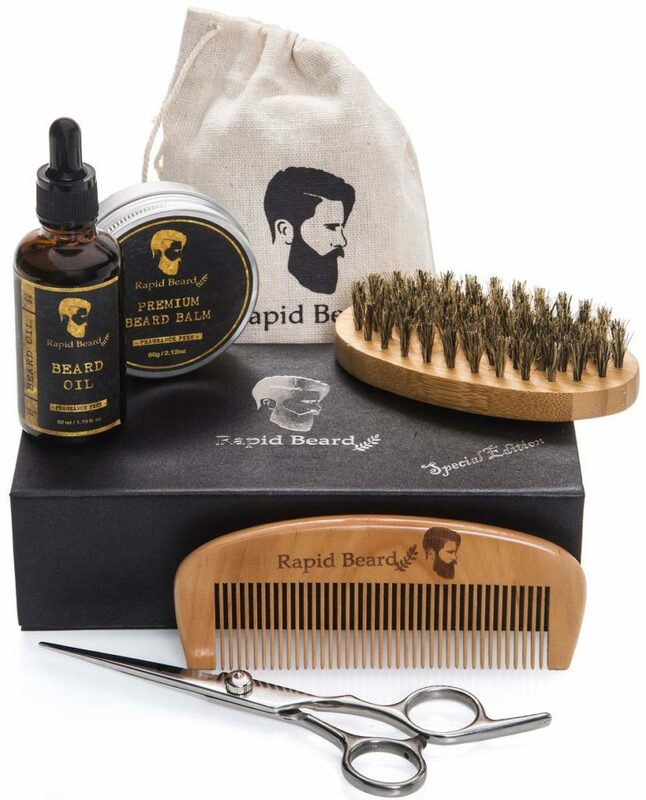 From combs to beard oil, this kit will have everything that they need to take care of their beard. 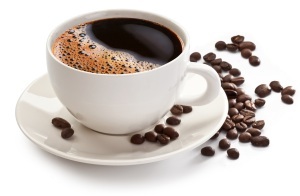 The coffee of the month club is a great gift for the man in your life who loves coffee. You can sign up for different plans, but enjoying a new roast or two each month will allow for a gift that continues to give throughout the year. Make sure that you also check out our list of the best coffee brands for even more great coffee options. 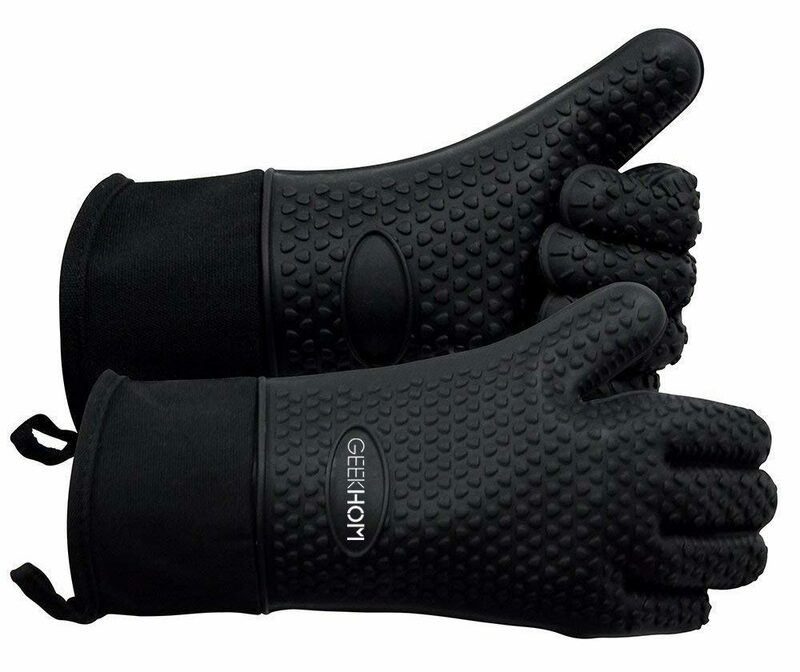 If the man in your life loves to get on the grill, these heat-resistant grilling gloves are a must. He will be able to grill without having a second thought when picking up or touching anything that is hot. These gloves make the grilling process so much more simple. Know someone that likes to be prepared in any situation? 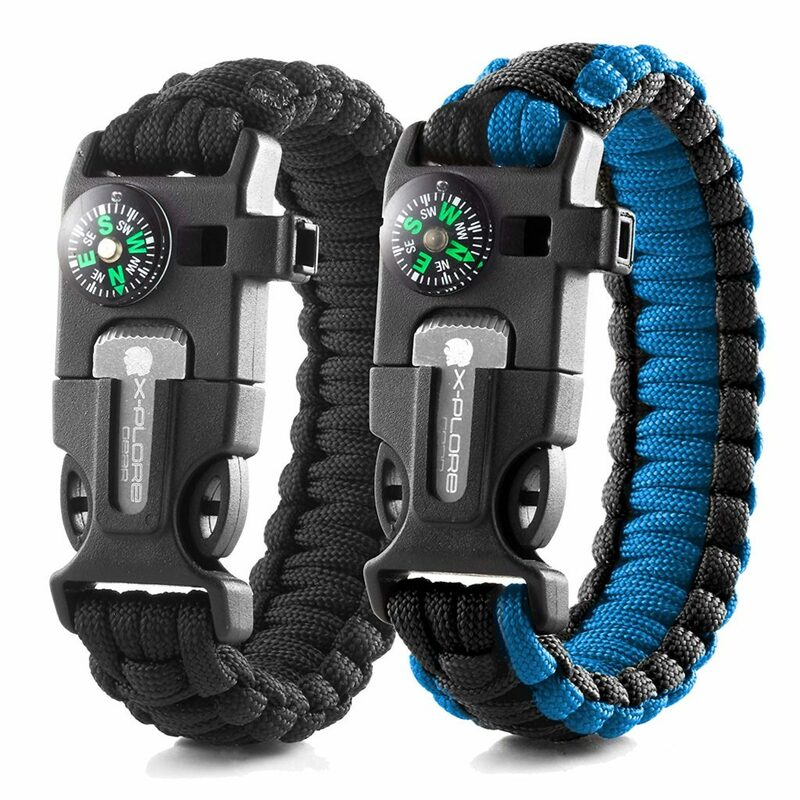 This paracord bracelet is going to provide five different survival tools and is also fashionable. It comes with a compass, fire starter, emergency knife, whistle, and obviously parachute cord. What’s better than a unique craft beer? How about a craft beer made at home? 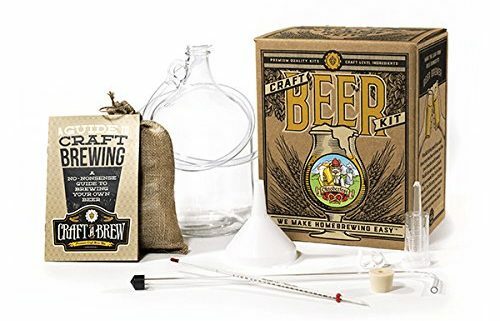 If the man in your life enjoys craft beer, this reusable beer making kit may be the perfect gift. 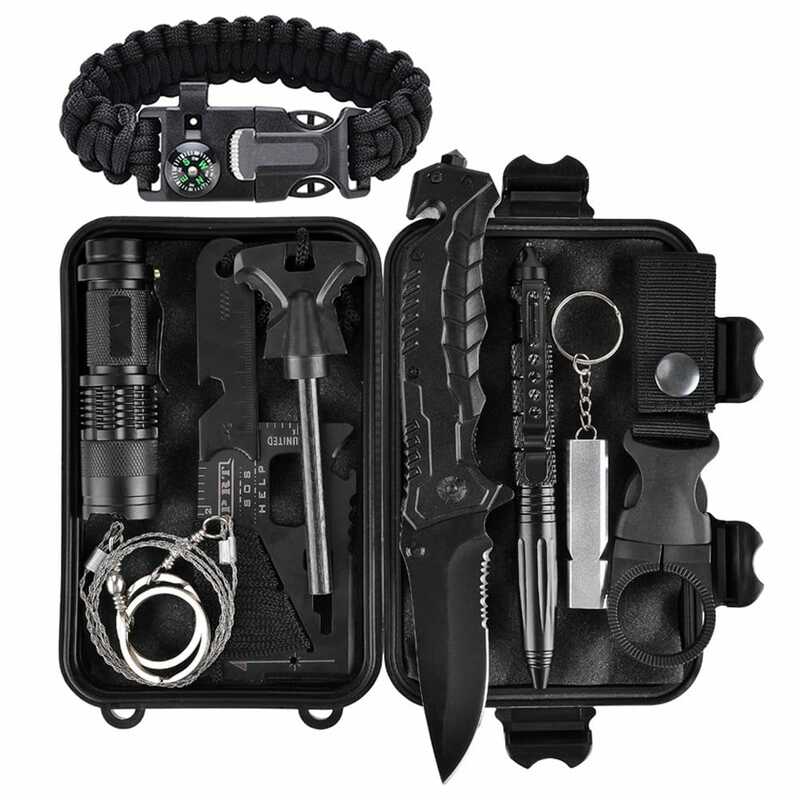 This deluxe emergency survival kit is going to come in a nice compact case. The tools in it though provide something for almost every imaginable situation. If the man in your life likes to always be prepared, this is a gift that he is going to love. Know a man with a taste for the spicy? 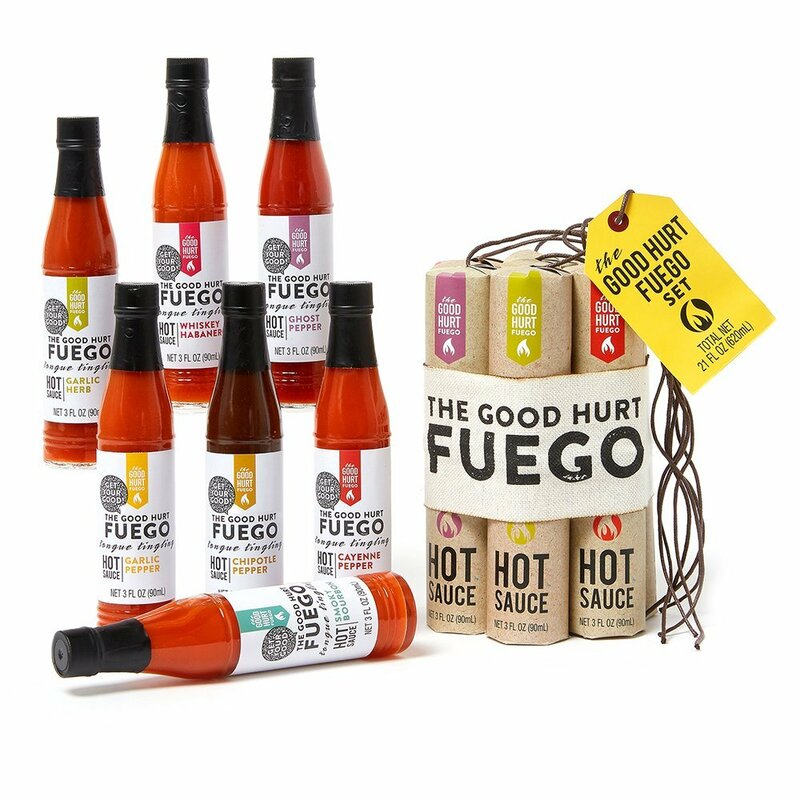 A hot sauce sampler pack may be just what you are looking for. With bold flavors and seven different sauces, this sampler pack has a full range of flavors that are sure to add a good kick to any meal or snack. No more watered down drinks with this gift. 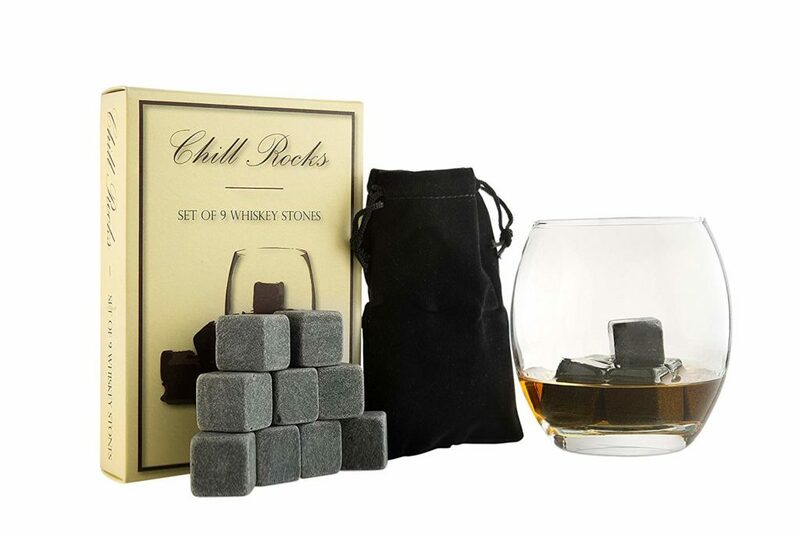 These whiskey stones are going to be great for chilling whiskey, scotch, or bourbon. They will also help to release the natural flavors and aromas of the drink. One of the most annoying things that can happen when fixing or putting something together is having to look for and hold screws, nuts, and bolts. 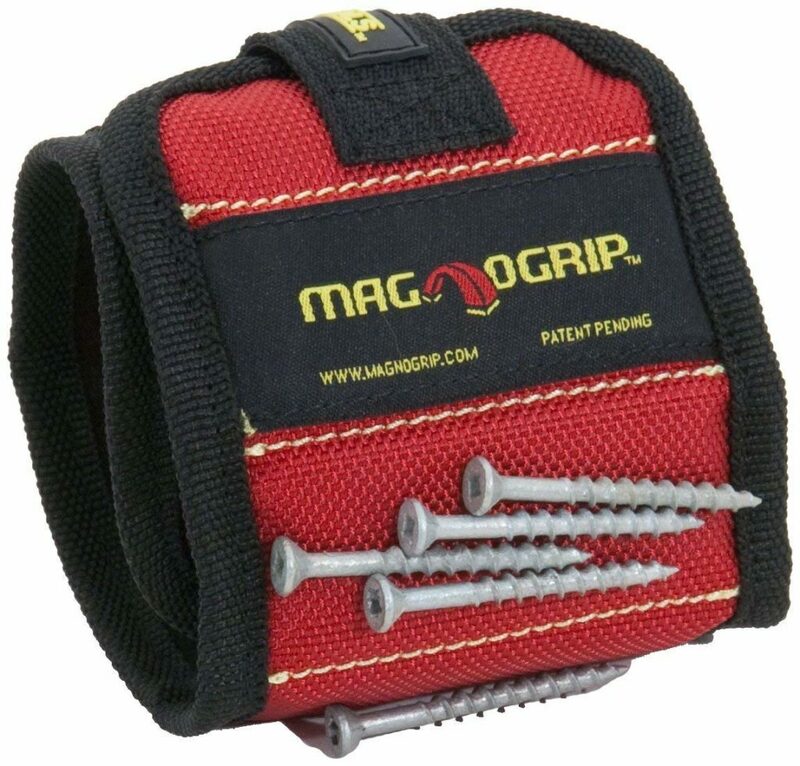 This magnetic wristband is going to allow the handyman in your life to keep all of these items right on their wrist and ready to use. The tools make the man, and it is no different when it comes to the grill. 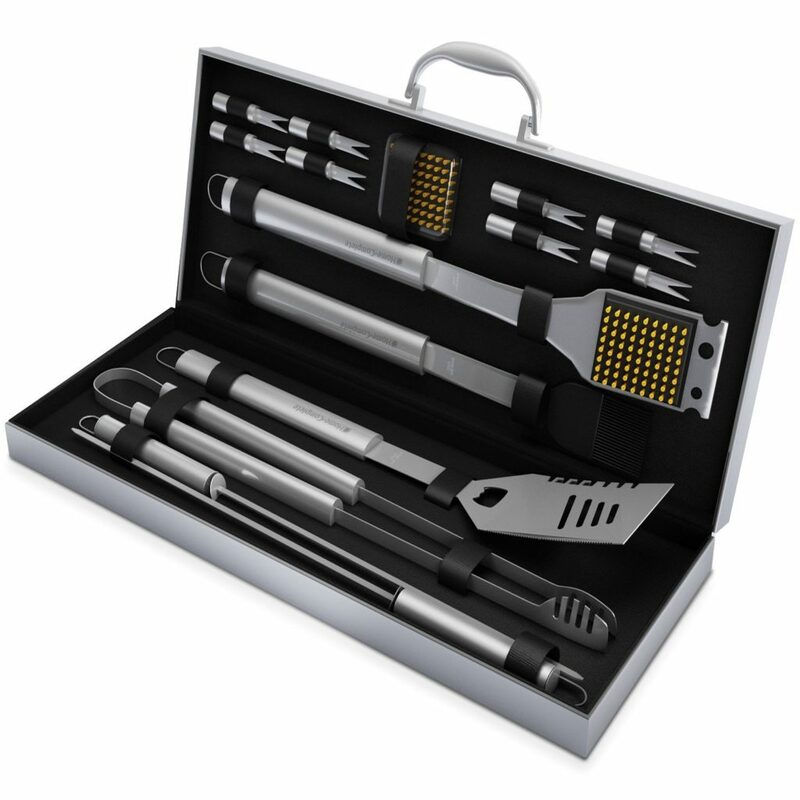 This grilling tool set is going to provide everything that the man in your life needs to master their grill. Also, make sure you visit our list of the best grilling recipes. This list will help to make sure that these grilling tools get some immediate use. This JBL wires speaker is going to be perfect for a variety of different occasion. Whether it is working on a project in the garage, a relaxing day around the house, or on vacation, it will come in clutch. 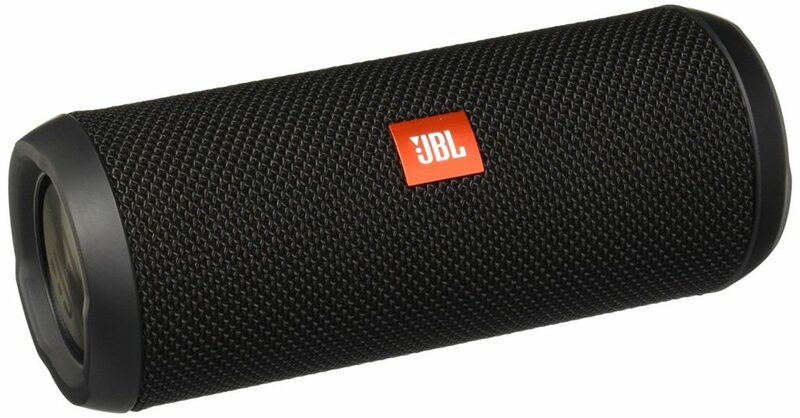 Give the man in your life the gift of music on the go with this JBL wireless speaker. If you are like us and enjoy finding the perfect gift to give someone, this list is definitely for you. 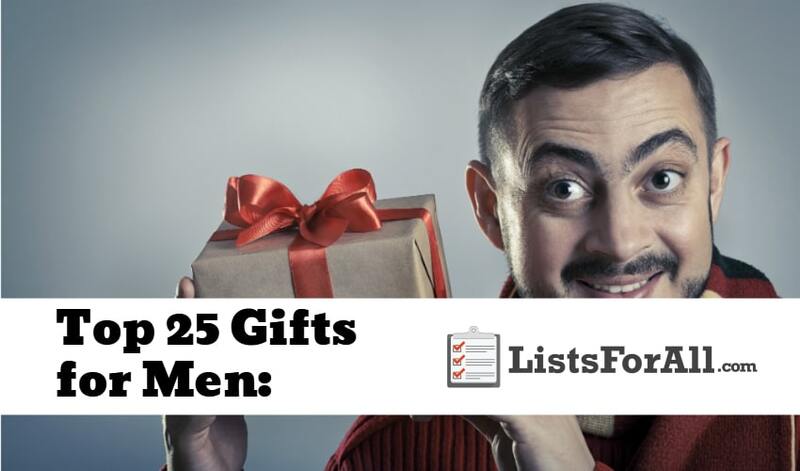 With this list of the best gifts for men, you will be able to do exactly that and find the perfect gift for the man in your life. We would love to know what gift you decided on and if you have any personal reviews. Just let us know in the comments below.